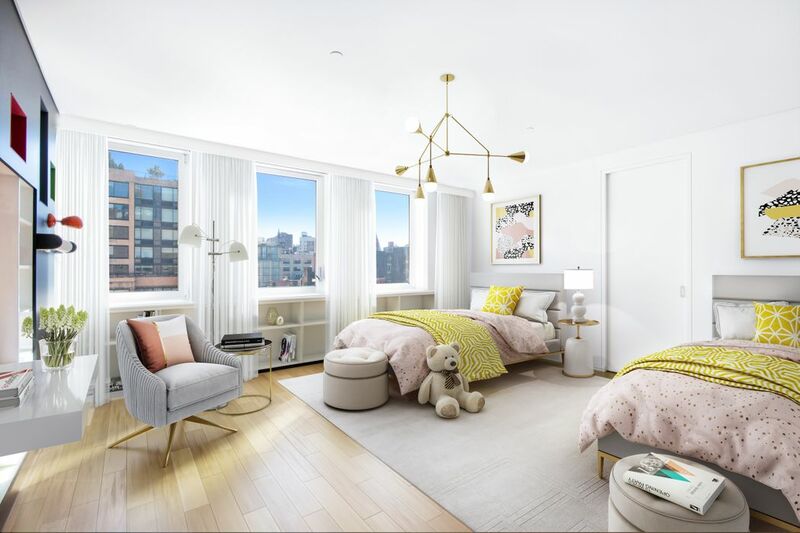 205 West 19th Street 9th Floor, New York, NY 10011 | Sotheby's International Realty, Inc.
$8,495,000 4 Bedrooms3 Full / 1 Partial Baths5,430 sq. 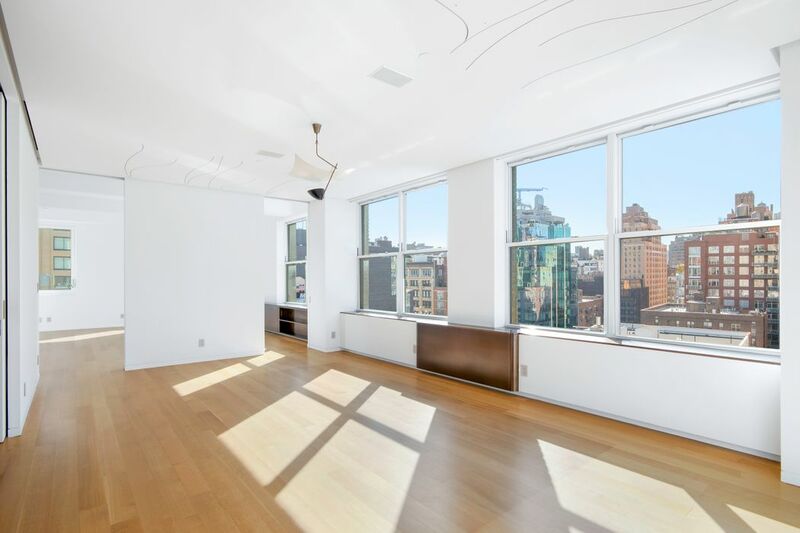 ft.
Perched high above Chelsea, this mint, recently renovated, masterfully designed full-floor loft offers stunning skyline views in every direction! With four spacious bedrooms, three and a half baths, and large-scale entertaining spaces, this fully customized, 5,500+/- sq. ft. home is truly spectacular. Enter the loft from one of two key-locked elevators into a generous entry foyer. The foyer provides options to enter either the public or private wings of the home. 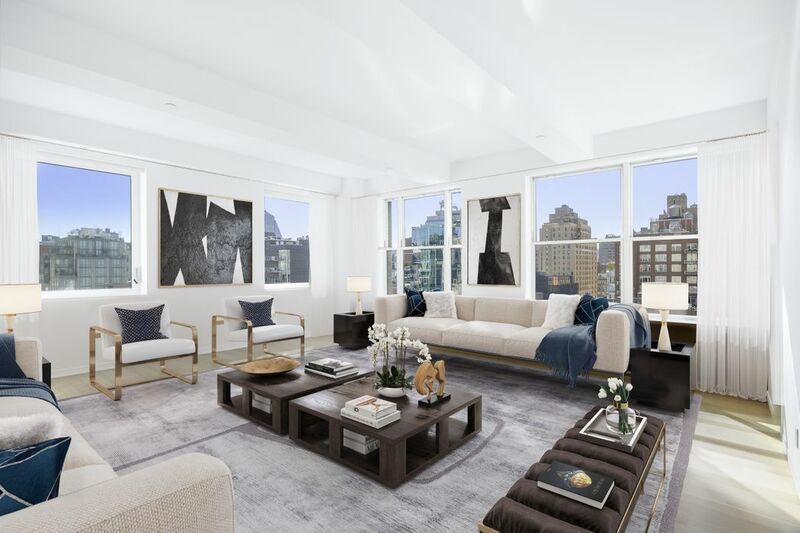 Surrounded by oversized windows, the home's focal point is the corner living room, offering both eastern and southern exposures, providing an abundance of sunlight throughout the day. 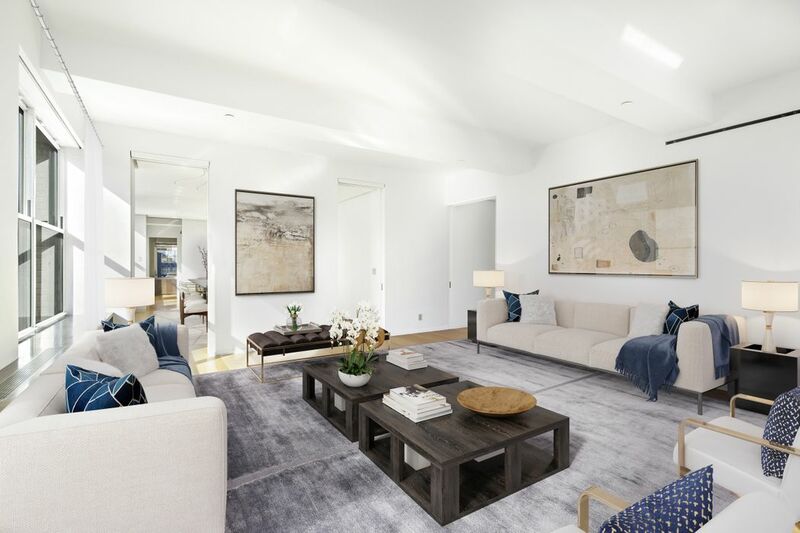 The living room flows seamlessly into the grand dining room, which is open to the professional-grade eat-in kitchen, appointed with the highest-end stainless-steel appliances. A pantry with full-size W/D flanks the kitchen, while two windowed home offices complete the public wing of the home. 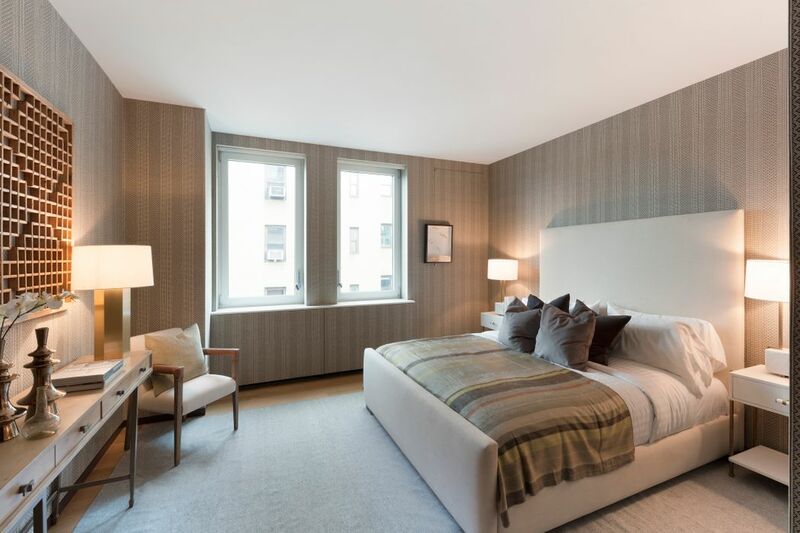 Heading into the loft's private spaces, a gracious gallery hall leads to the home's bedrooms. The corner master suite is its own retreat – featuring a sitting area, large dressing room and walk-in closet space, a windowed bath, as well as an intimate library, perfect for reading or enjoying an after-dinner drink. There are three additional well-proportioned bedrooms, with two full baths, as well as an informal sitting room for family or guests. 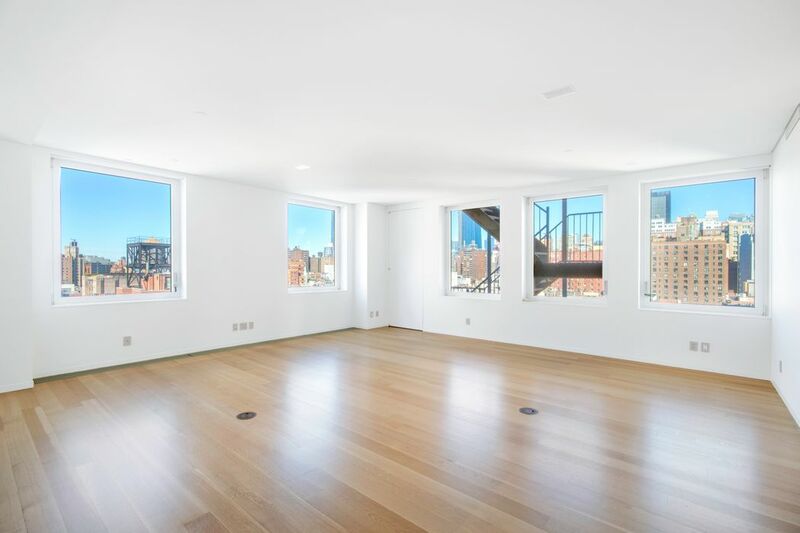 205 West 19th Street is a pre-war loft cooperative in the heart of Chelsea, featuring 18 residential units. Amenities include video intercom, full-time superintendent and private storage (for a fee). The cooperative is pet-friendly and offers live/work flexibility. 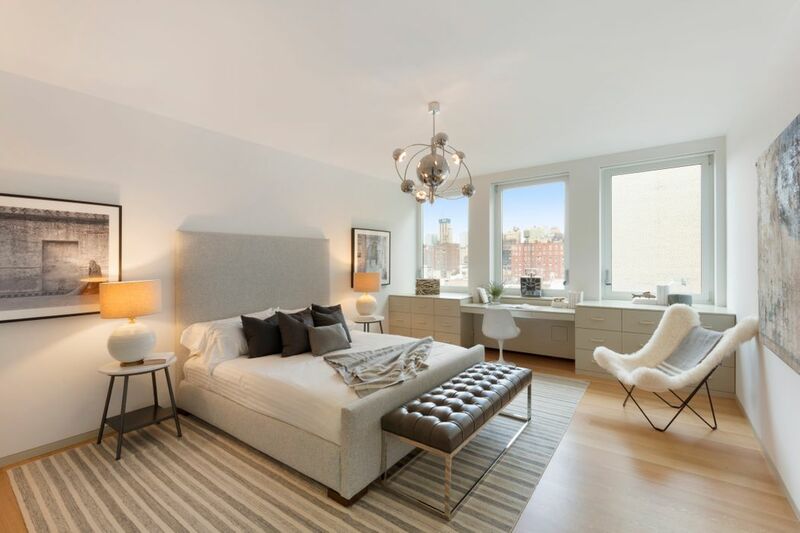 Chelsea is known as the center of New York City's art world, with over 200 galleries in the neighborhood, and home to many of the city’s best restaurants and shopping. 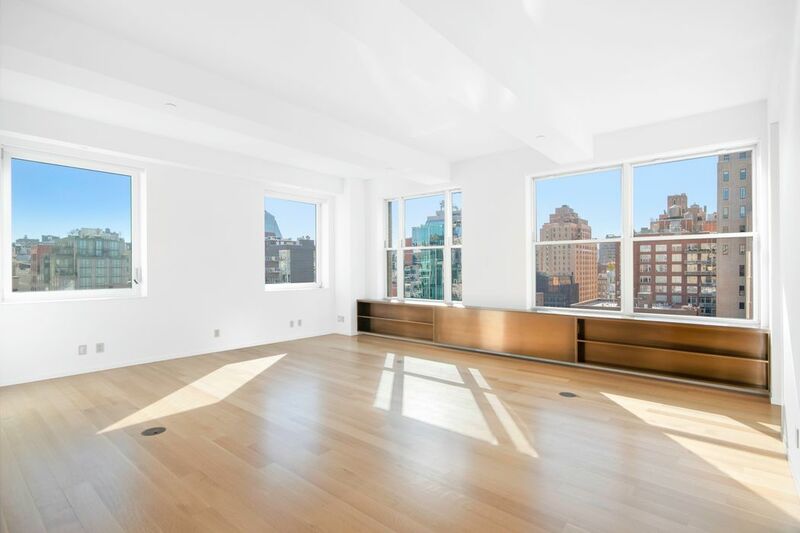 Centrally located, 205 West 19th Street offers easy access to all subway lines and major thoroughfares. 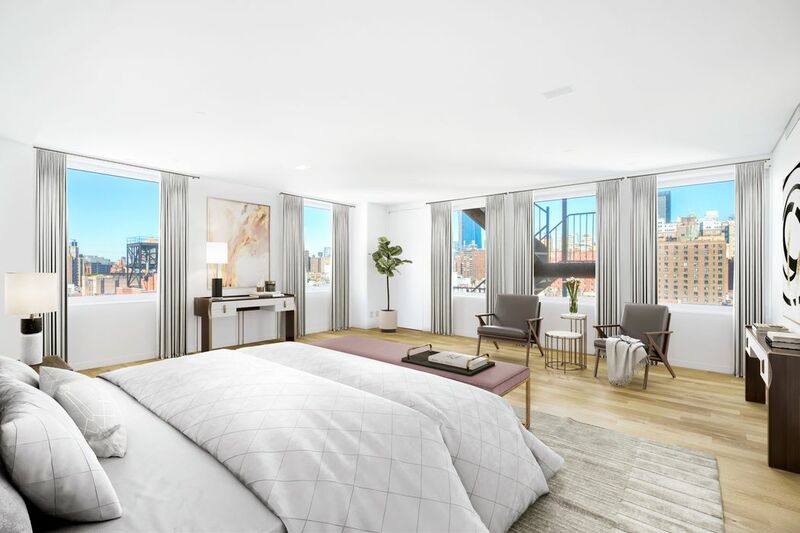 Perched high above Chelsea, this mint, recently renovated, masterfully designed full-floor loft offers stunning skyline views in every direction! With four spacious bedrooms, three and a half baths, and large-scale entertaining spaces, this fully customized, 5,500+/- sq. ft. home is truly spectacular. Enter the loft from one of two key-locked elevators into a generous entry foyer. 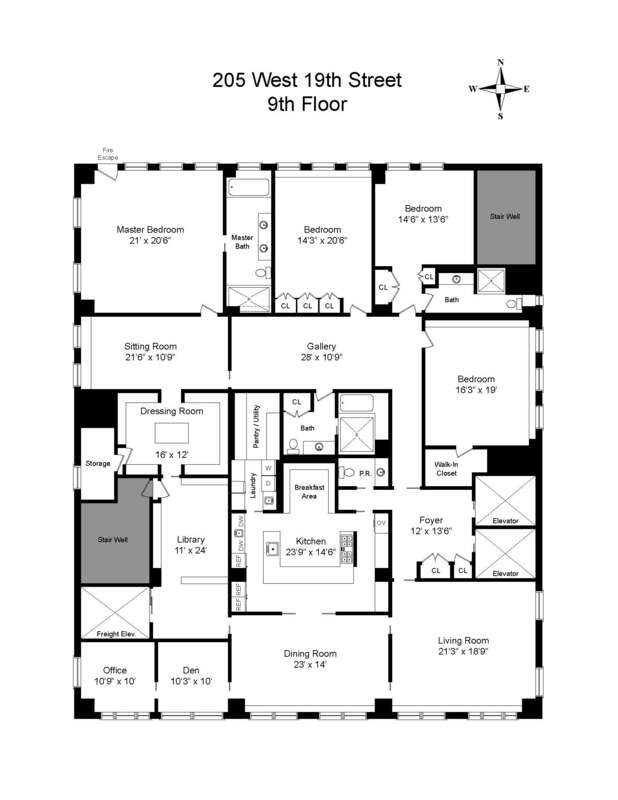 The foyer provides options to enter either the public or private wings of the home. 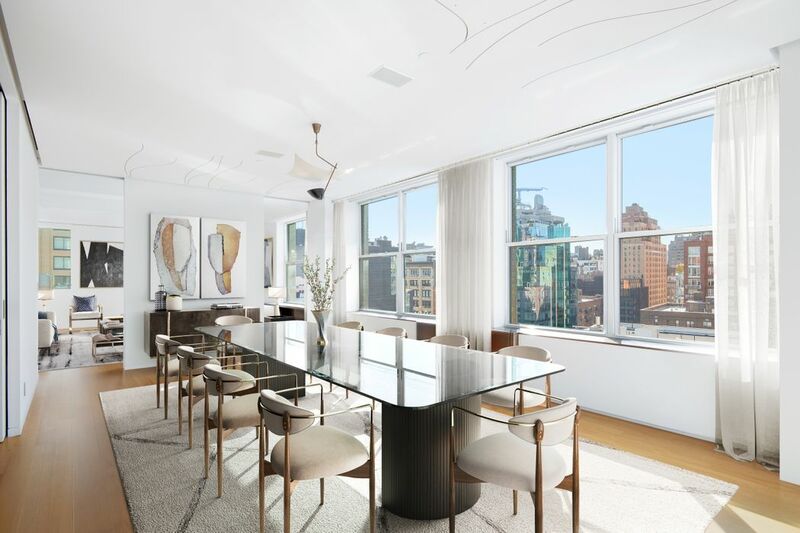 Surrounded by oversized windows, the home's focal point is the corner living room, offering both eastern and southern exposures, providing an abundance of sunlight throughout the day. 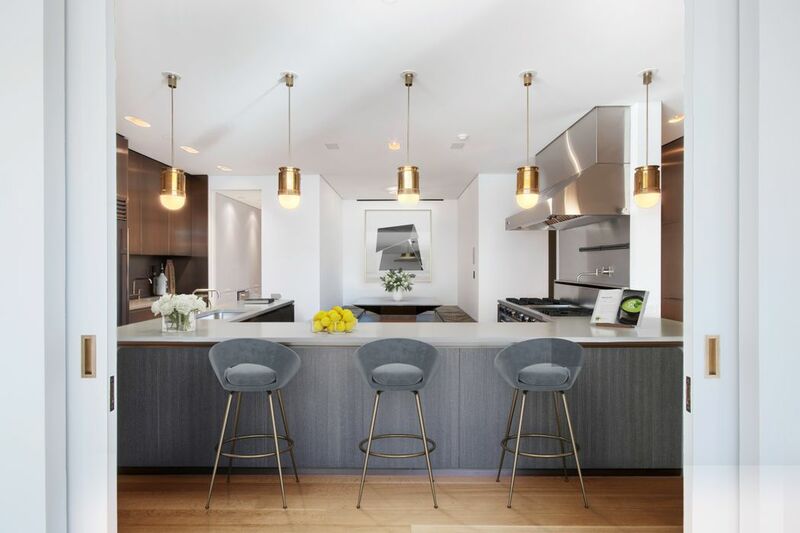 The living room flows seamlessly into the grand dining room, which is open to the professional-grade eat-in kitchen, appointed with the highest-end stainless-steel appliances. 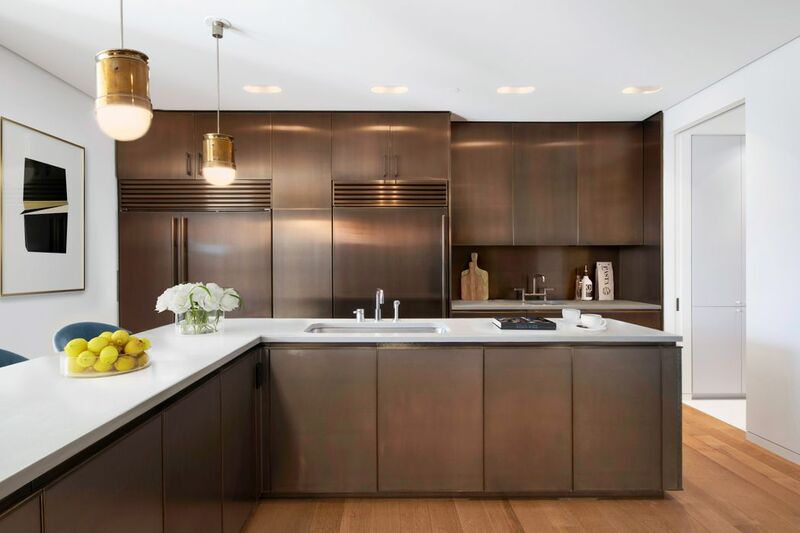 A pantry with full-size W/D flanks the kitchen, while two windowed home offices complete the public wing of the home. 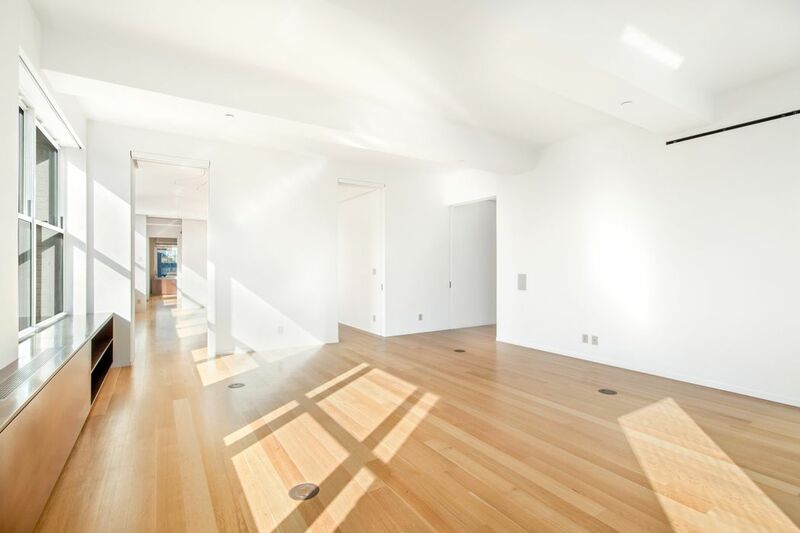 Heading into the loft's private spaces, a gracious gallery hall leads to the home's bedrooms. The corner master suite is its own retreat – featuring a sitting area, large dressing room and walk-in closet space, a windowed bath, as well as an intimate library, perfect for reading or enjoying an after-dinner drink. There are three additional well-proportioned bedrooms, with two full baths, as well as an informal sitting room for family or guests. 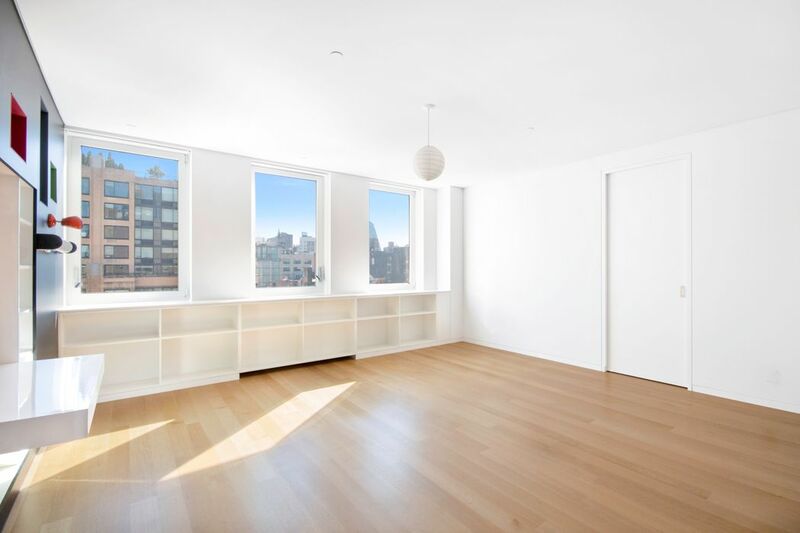 205 West 19th Street is a pre-war loft cooperative in the heart of Chelsea, featuring 18 residential units. Amenities include video intercom, full-time superintendent and private storage (for a fee). The cooperative is pet-friendly and offers live/work flexibility. 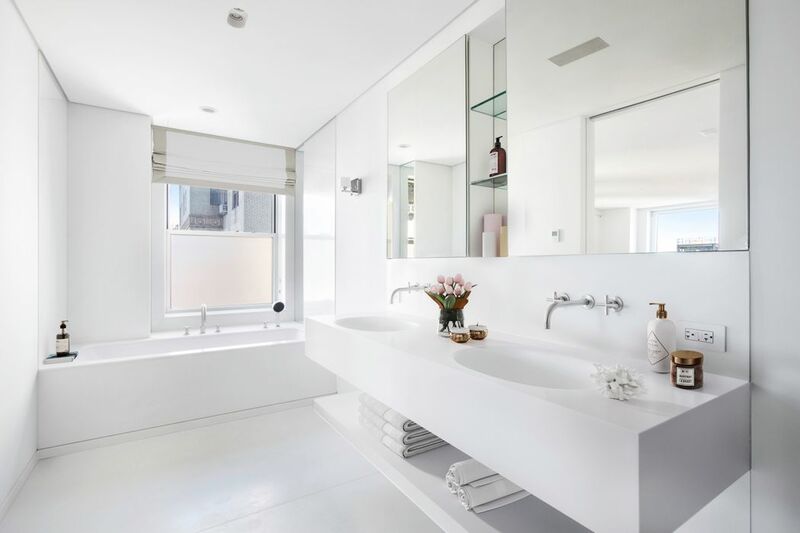 Chelsea is known as the center of New York City's art world, with over 200 galleries in the neighborhood, and home to many of the city’s best restaurants and shopping. 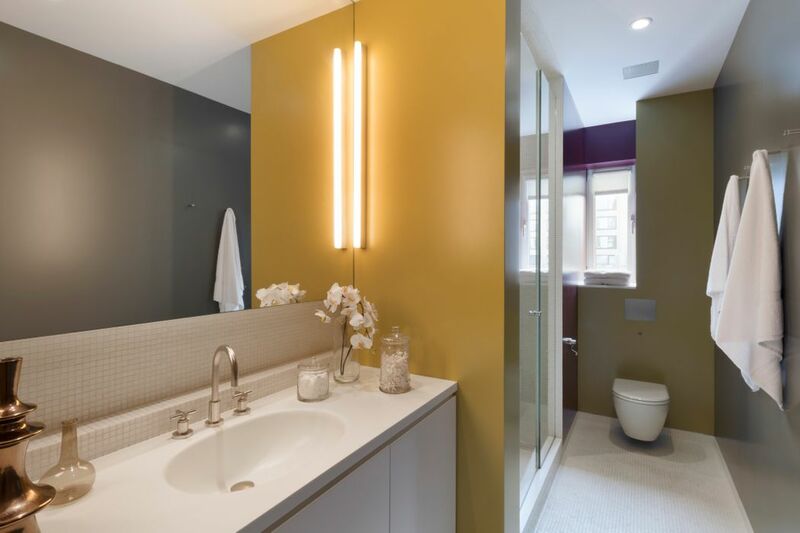 Centrally located, 205 West 19th Street offers easy access to all subway lines and major thoroughfares.